Toll-free calling is one way to provide a valuable link with your customers. It’s a cost-effective way to manage telecom costs, and make a positive impact on your business’s bottom line. Plus, it can make the difference between a call to you — or to your competition. V1 VoIP wholesale toll free offers connections to carriers all over the world so you can make your clients’ phones ring no matter where they customers are. Are you worried about rates associated with tier 1 services? Stop worrying! V1 VoIP offers flat rate service for the continental US 48 states and Alaska, plus our Canada rates are the lowest you will find. Period. Showing your customer commitment by offering personalized services can help improve your brand loyalty and ultimately your customer experience. Flexibility: Dedicated or switched, TDM or SIP — you can expect a streamlined migration. Portal-Enabled Efficiency: Enhanced routing provisioning empowers you to establish and manage toll free number routing based on your operational and business requirements. Presence to Support Growth: You are covered! Interstate, intrastate and international calls travel within our Tier 1 network from and to the Americas, Europe and Asia. Security: We work to protect your voice traffic at every point in the network. 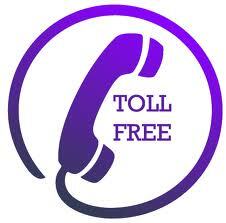 Don’t wait any longer to offer wholesale toll free services to your clients. Contact a member of the V1 VoIP wholesale team today!